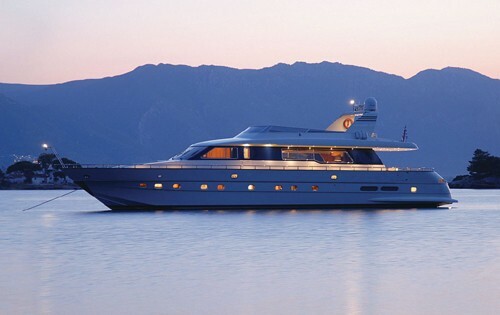 Motor Yacht ALTAIR was built in 2002 by Canados Yachts and measures 26 meters in length. 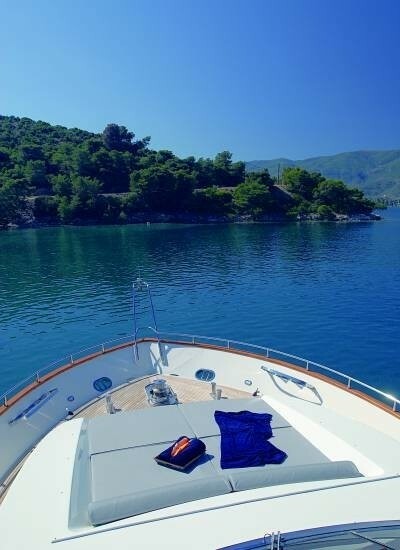 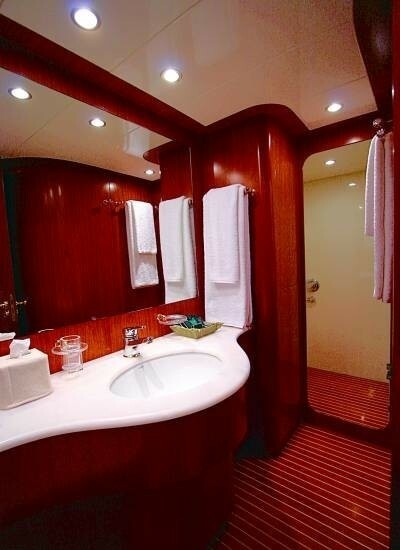 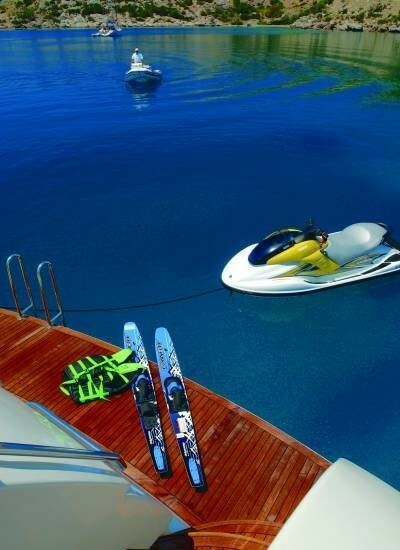 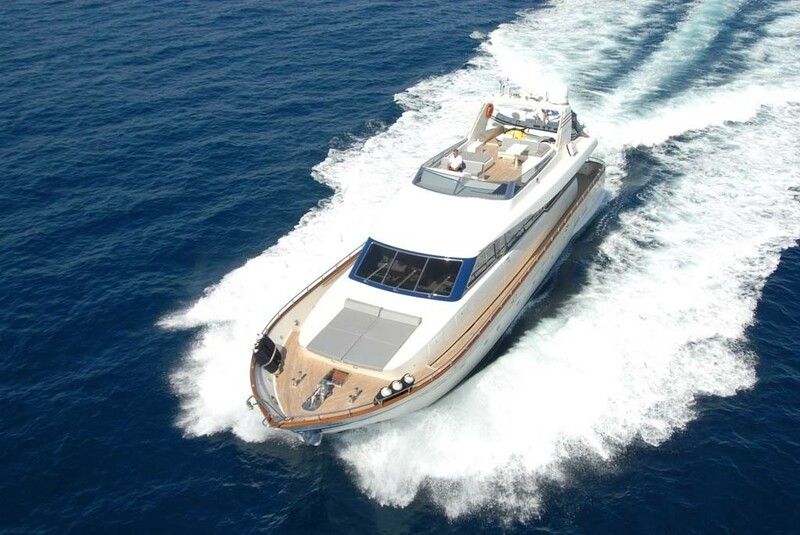 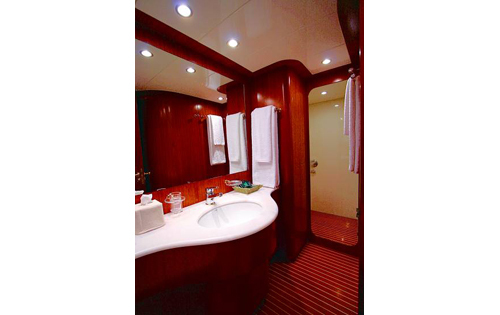 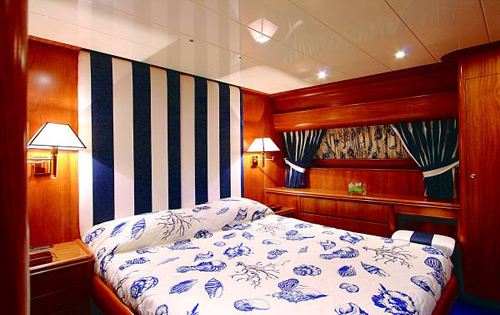 M/Y ALTAIR is able to accommodate 9 guests in 4 cabins and is based in Athens Greece. 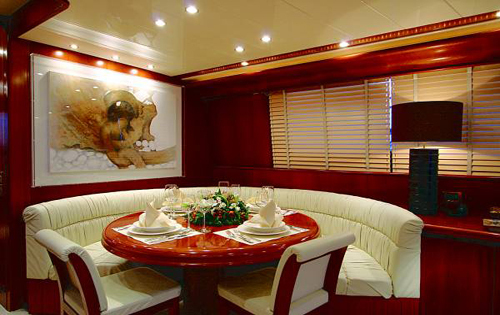 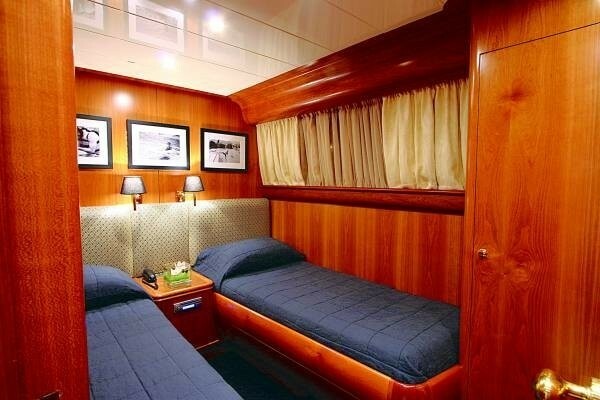 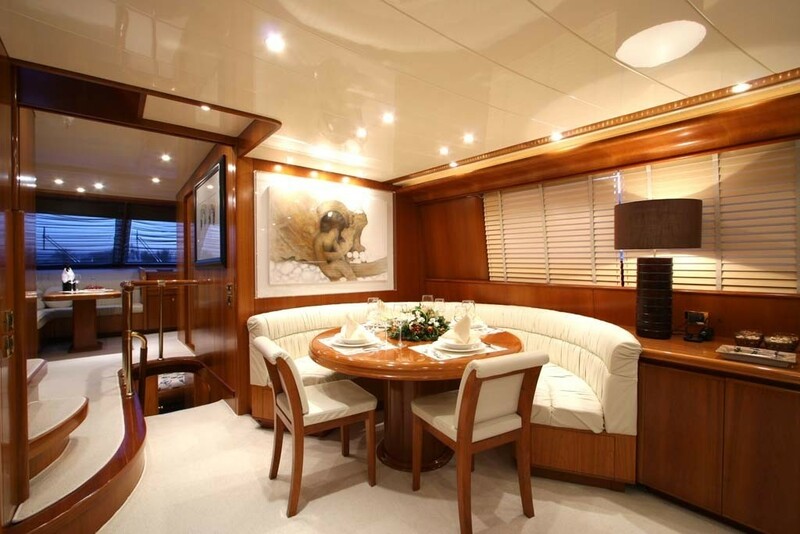 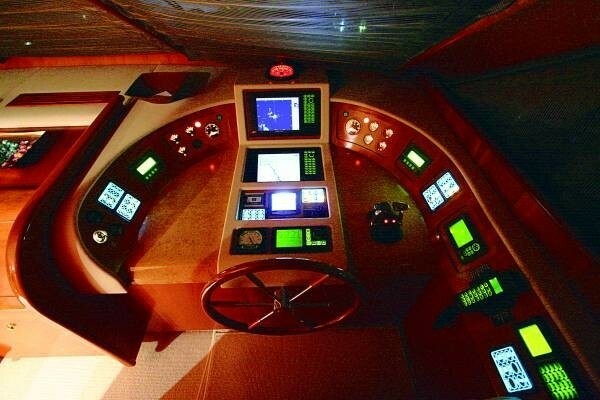 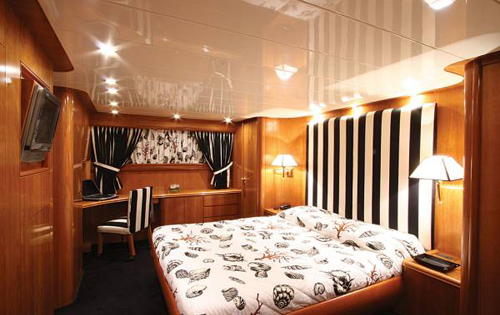 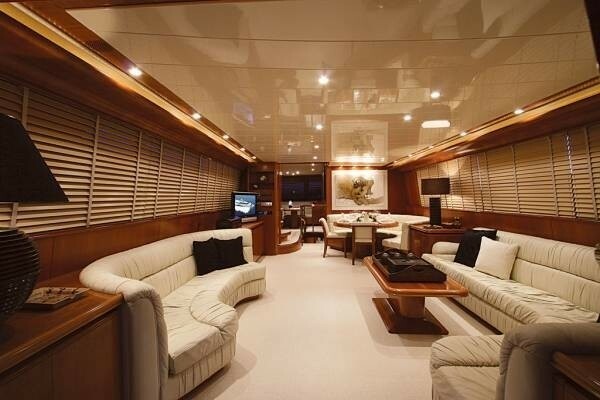 Charter Yacht ALTAIR has a classy interior, with high gloss cherry wood throughout. The salon is bright and airy with large panoramic windows and ample seating on 2 generous settees, a formal dining area forward complete the fully carpeted space. 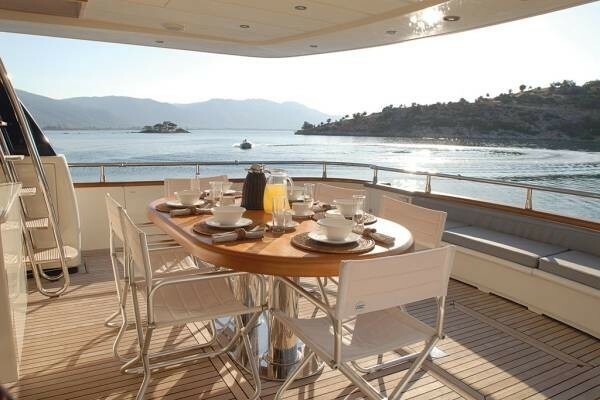 M/Y ALTAIR offers great outdoor living space. 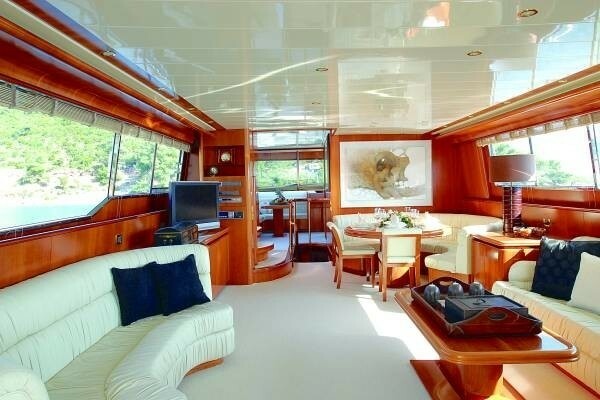 The aft cockpit is expansive with teak decking, an alfresco dining option for 8 plus additional seating aft. 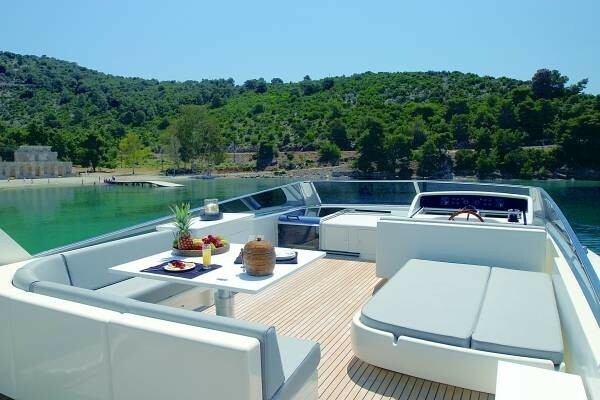 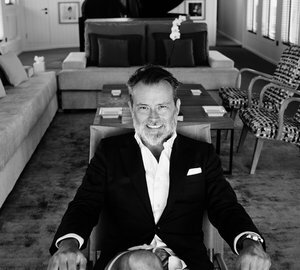 The fly bridge provides a second alfresco dining table and large sunpads for the sun lovers, further sunpads can be found on the foredeck for those looking for some privacy. 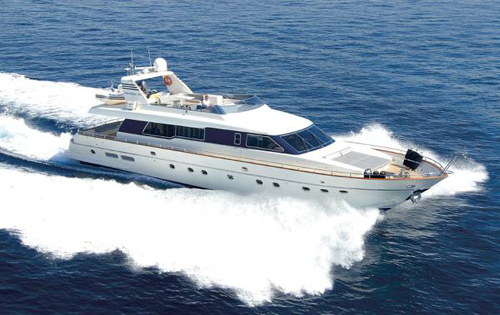 Motor Yacht ALTAIR offers a CD library, DVD library, Stereo system, Satellite television, Games Console, iPod Dock, DVD player, Local television, Media Hard Drive, Fishing equipment, Adult & Children’s waterskies, Towing ring, 1 Jet ski, Kneeboard, 13ft Zodiac tender with a 60 HP engine. 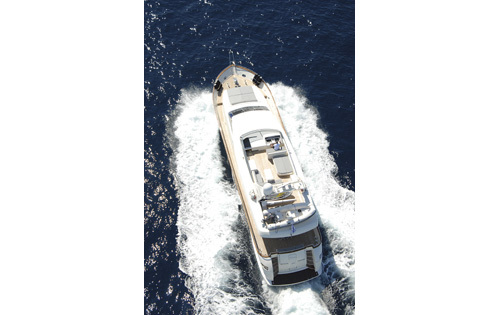 Charter Yacht ALTAIR has a beam of 5.8m (19ft) and a draft of 2m (6.6ft) and cruises at 11 knots with maximum speeds of 13 knots. M/Y ALTAIR can accommodate 9 guests in 4 cabins, the master cabin has a king size bed, the VIP cabin has a queen size bed and a further 2 cabins have twin beds, one with a Pullman, all cabins are en-suite. 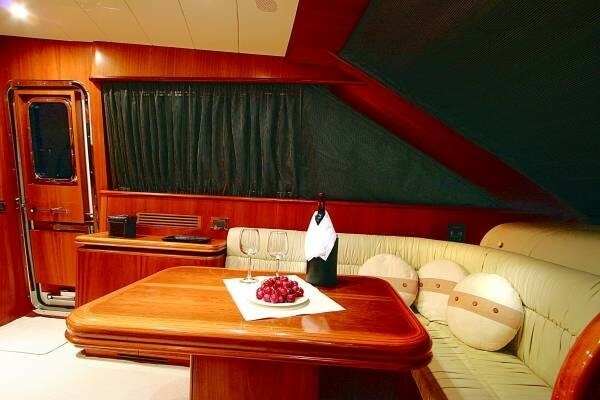 Luxury yacht ALTAIR is well equipped for charter with a CD library, DVD library, Stereo system, Satellite television, Games Console, iPod Dock, DVD player, Local television, Media Hard Drive. 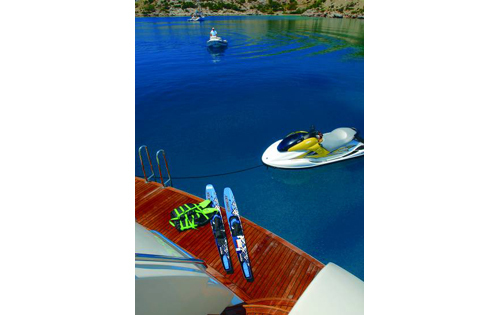 For the outdoors fun guests can enjoy Fishing equipment, Adult & Children’s waterskies, Towing ring, 1 Jet Ski, Kneeboard, 13ft Zodiac tender with 60 HP engine.